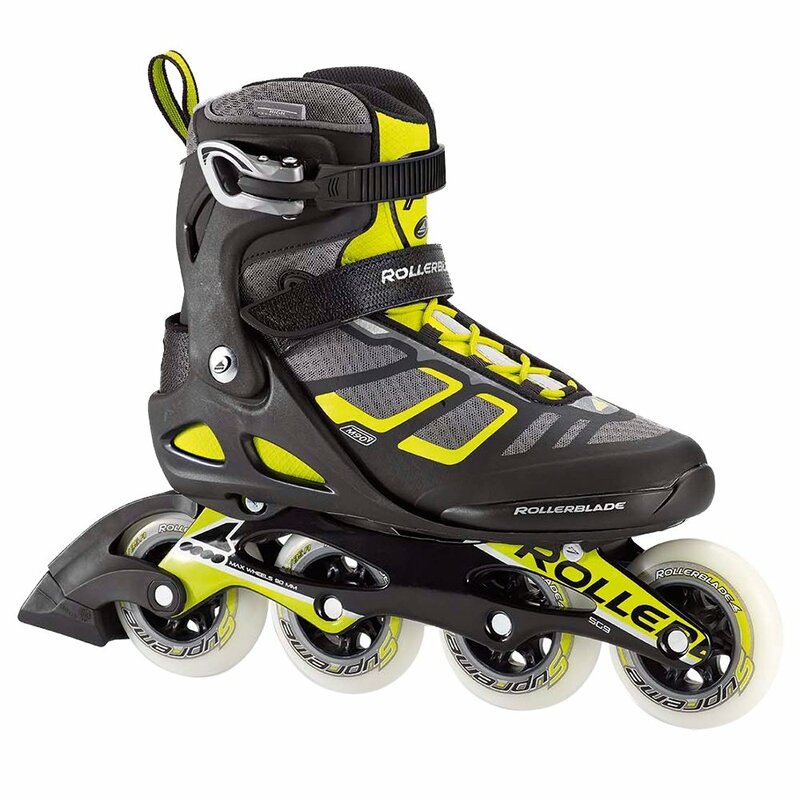 Balanced performance for cross training, fitness, or just having fun on skates is what makes the Rollerblade Macroblade 90 Inline Skate such a great choice. They're designed for Skate to Ski performance, meaning they're a great way to get ready for your next trip, though that isn't the only reason to lace into the comfortable Form 5 Star Fit Liner. There's a Twinblade Frame made from extruded aluminum, giving you efficient power transfers and the large 90mm wheels deliver high-speed stability balanced with reliable acceleration. "What is the skill level ?" "This would be more of an intermediate to advanced skate. For a beginner skate, we would recommend looking at an abt skate for easier braking. I hope this information helps!" "I'm looking for an intermediate skate, suggestions?" "The Rollerblade Macroblade 90 Inline Skates would be a perfect inline skate for an intermediate skater! " "What is the max wheel size for this skate?" "Thank you for your inquiry. The maximum wheel size is 90 mm. We hope this information helps. "